Description FREE DELIVERY TO YOUR DRIVEWAY! CERTIFIED - REMOTE START - HEATED LEATHER SEATS - 4X4!! This ONE owner Jeep Compass came to us in great mechanical condition and very CLEAN! 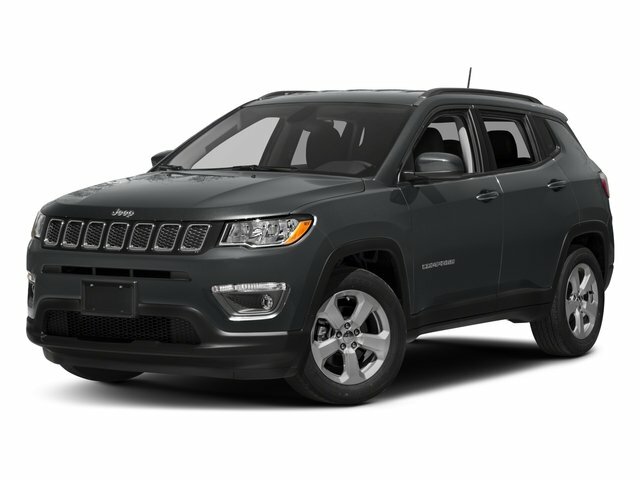 Our mechanics did a thorough 125 point inspection and were able to make this Jeep Compass Chrysler Group Certified Pre-Owned vehicle. They also did an oil change, and the front tires are at 9/32nds, back are at 10/32nds, and the brakes are at 50%. A few notable features include sunroof, heated leather seats, bluetooth, keyless entry, remote start, fuel efficiency, and more! This Compass is priced competitively within the market. Call NOW for more information or to schedule a test drive 765-342-5000. *All promotional offers expire immediately after close of sale. We recondition all of our used vehicles, so you know you can drive away with Peace of Mind. Notice the Community Difference Today - Fair Pricing Confidence and Absolute Transparency Guaranteed. CA US Certified Pre-Owned Details: * Includes First Day Rental, Car Rental Allowance, and Trip Interruption Benefits * Limited Warranty: 3 Month/3,000 Mile (whichever comes first) after new car warranty expires or from certified purchase date * Powertrain Limited Warranty: 84 Month/100,000 Mile (whichever comes first) from original in-service date * Transferable Warranty * Warranty Deductible: $100 * 125 Point Inspection * Vehicle History * Roadside Assistance We recondition all of our used vehicles, so you know you can drive away with Peace of Mind. Notice the Community Difference Today - Fair Pricing Confidence and Absolute Transparency Guaranteed. Awards: * 2017 KBB.com 10 Most Awarded Brands Welcome to the Community Chrysler Dodge Jeep Ram website, a fast and convenient way to research and find a vehicle that is right for you. Whether you are looking for a new or used Chrysler, Dodge, Jeep or Ram car, truck, or SUV you will find it here. We have helped many customers from Martinsville, Indianapolis, Greenwood, Bloomington, Mooresville, Columbus, Franklin, Ellettsville, Plainfield, Avon, Spencer, Terre Haute, Brownsburg and Monrovia find the Chrysler, Dodge, Jeep or Ram of their dreams! *Special internet price not valid with any other discount, coupon, or in-store promotion. Prices subject to change without notice. Options may vary as described due to automated process.